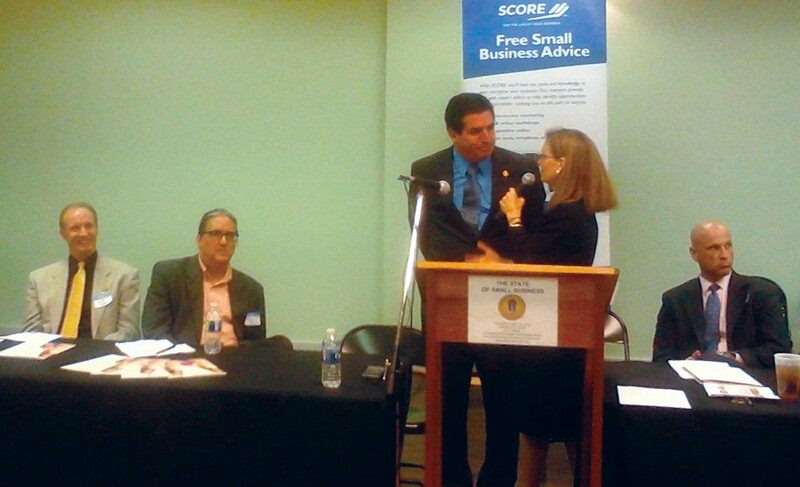 On Thursday, May 30, 2013, there was an inaugural State of Small Business in Savannah forum. The event, presented by Savannah SCORE, featured a panel of eleven speakers who shared overwhelmingly positive outlooks on several aspects of the local small business economy. Among those eleven were Jerald Mitchell, Director of Innovation at Savannah Economic Development Authority and Brian Johnson, Garden City’s City Manager. Mitchell spoke on Business in Savannah and Johnson on Small business in Garden City. The event, created to put a focus on the positive impact of small businesses in the Savannah metro area, attracted 105 attendees to the Savannah Mall community room where the audience consisted of local small business owners. Thursday’s topics offered small business leaders reasons for hope. “The small business sector is clearly experiencing a rebound,” said Michael Toma, an economist with Armstrong Atlantic State University. Business activity in the city of Savannah has experienced a turnaround since 2011, seeing 26 more businesses open than close each month. This year’s turnout was encouragement for Marjorie Young, the leader of small business mentoring and counseling organization SCORE, and Joe Marchese, who heads the Savannah Area Chamber of Commerce’s Small Business Council. “This tells me this has been really, really needed,” said Young. For next year there is the hope of continuing to move forward and even adding new categories to what is discussed.